VANCOUVER, June 29, 2018 /CNW/ - Leading Edge Materials Corp. ("Leading Edge Materials") or ("the "Company") (TSXV:LEM) (OTCQB: LEMIF) (Nasdaq First North: LEMSE) announces signing of an agreement with Mangold Fondkommission AB ("Mangold") for engagement as Certified Adviser for Nasdaq First North exchange. This change is a result of the recent take over of all Remium's Certified Adviser assignments by Mangold. Mangold will commence as Certified Adviser starting July 1st, 2018. Prior to that date, the existing provider Remium will fulfill duties as the Company's Certified Adviser. This is information that Leading Edge Materials Corp. is obliged to make public pursuant to the EU Market Abuse Regulation. The information was submitted for publication, through the agency of the contact person set out above, on 29 June, 2018 at 1030 Vancouver time. 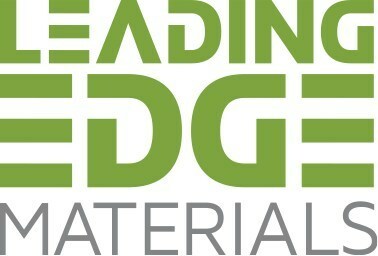 Leading Edge Materials is a Canadian public company focused on production of high value critical raw materials for the European market, with an operating base in the Nordic region, a region well recognised for its promotion and investment in innovation. LEM's flagship asset is the Woxna Graphite production facility located in central Sweden targeting the supply of specialty materials for lithium ion battery production. LEM's assets and research focus are towards the raw materials for Li-ion batteries (graphite, lithium, cobalt); materials for high thermal efficiency building products (graphite, silica, nepheline); and materials that improve the efficiency of energy generation (dysprosium, neodymium, hafnium). Investments are linked to the global shift to low-carbon energy generation and energy storage. Leading Edge Materials currently operate in four divisions, Graphite, Lithium, Rare Earth and Cobalt. Remium Nordic AB is the company's Certified Adviser ("CA") as part of the listing requirements for Nasdaq First North. Forward-Looking Information. This news release may contain forward-looking statements and information based on current expectations. These statements should not be read as guarantees of future performance or results. Such statements involve known and unknown risks, uncertainties and other factors that may cause actual results, performance or achievements to be materially different from those implied by such statements. Such statements include but are not limited to, the Company's expectations regarding the benefits of the listing on the Nasdaq First North; the Company's ability to fulfil the customary conditions set out in the conditional acceptance letter from Nasdaq Stockholm AB; unexpected geological conditions; the Company's expectations regarding exploration activities to advance critical material projects for energy storage markets, delays in obtaining or failure to obtain necessary permits and approvals from government authorities. Although such statements are based on management's reasonable assumptions, there are risk factors which could cause the Company's actual results, performance or achievements to be materially different from any future results, performance or achievements expressed or implied by the forward-looking information contained herein. All forward-looking information herein is qualified in its entirety by this cautionary statement, and the Company disclaims any obligation to revise or update any such forward-looking information or to publicly announce the result of any revisions to any of the forward-looking information contained herein to reflect future results, events or developments, except as required by law.